Thanks to the many generous donors who support Compass Mark’s mission to prevent addiction, Compass Mark is planning a new initiative that will make a big difference at three local schools. 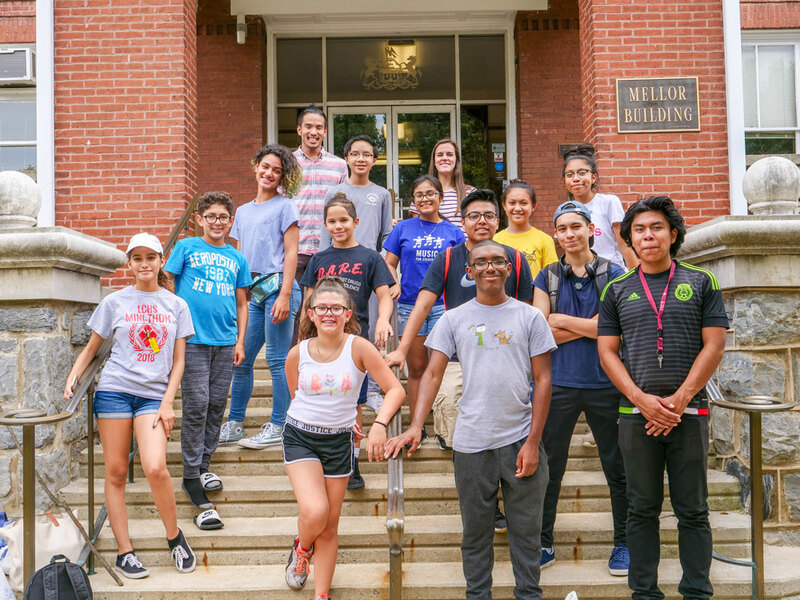 Compass Mark recently combined the Future Generations after-school program and the Leadership Institute to form the Leaders of Future Generations program, a blended school and community-based program for youth who exhibit leadership potential. The program aims to reduce a student’s risk factors and increase their resiliency by developing individual leadership skills and group identity and providing opportunities for service learning in their school and community. The Leaders of Future Generations program combines elements of both existing programs, with students who have participated in previous years now serving as mentors to the new students. The successful Kids Kamp and other summer program components will also continue, along with updated activities focused around leadership development, goal setting, communication, time management, decision making and more. The program is particularly effective for students during the formative middle school years. For some, this program is their chance to make a difference and find out what they’re really capable of. “When students are posed with the question, ‘If you could change or fix one thing in your school or community, what would it be and why?’ their imaginations and thoughts take over and the outcomes are always amazing,” said Schober. “This is a unique opportunity for students,” added Richard Khuu, fellow Youth Leadership Advocate and previous coordinator of Future Generations. “The students have a chance to improve their community, their school and, most importantly, themselves. They get to address something they’re passionate about, come up with a project all their own and ‘show off’ their final product. Through their work last year with Future Generations and the Leadership Institute, Schober and Khuu have seen students grow tremendously. They witness shy students become outspoken and confident, tough kids become more caring, popular students extend their friendship circles and children with low self‑esteem develop self‑confidence. As these students become leaders, their schools and communities benefit. But the direct feedback from students says it all. “I think this program actually turned my life around,” said one student from Landis Run Intermediate School. “It really makes me feel like we are actually doing good and we can make the world a better place,” said another. Though Compass Mark is only serving students at three local schools right now, Schober and Khuu look forward to expanding their program. Compass Mark is sincerely grateful to all our donors who’ve made this program expansion possible. Stay tuned throughout the year for updates on how your support is making an impact on these young leaders in our community!